In spite of its being the shortest month of the year, February always seems to take forever to turn into March. Once the chocolate delirium of Valentine’s Day wears off, you still have two more weeks of blah—no matter what Punxsutawney Phil sees on Groundhog Day. Fear not, Trailheads. The Trails of History, even in the bleak mid-winter, have plenty to offer. But first, how about a little detour into online voting? 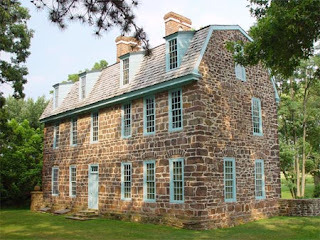 Ephrata Cloister is one of 100 non-profits nominated to receive free email marketing from Emma, a company that provides web-based marketing and communications services to its clients (and look, they just got a free plug). You can vote for Ephrata (and up to 4 other nominees) by going here by January 31. So hurry!! Winners will be announced in early February (and we’ll let you know how Ephrata does). Thanks in advance for your support. And now back to our regular programming. There’s a bunch, considering that some sites are closed in February, and others have had to reduce their hours. Last week I mentioned that Erie Maritime Museum/Flagship Niagara and Ephrata Cloister have guide training and history classes going on in February, so I won’t go into those again.You can visit their websites to get more information. 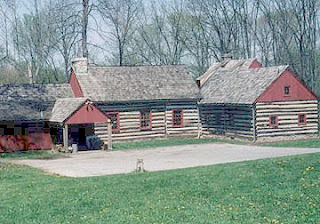 Young children and their families can cozy up to the fireplace at the Daniel Boone Homestead’s Wayside Lodge on February 7 for Fireside Tales. Landis Valley Village and Farm Museum has a bundle of activities in February, from Be My Valentine (a program for children age 7-17) on February 6, to Folk Art and Friendship craft classes in the Weathervane Museum Store February 20 and 27 (these continue into the spring). In between you’ll find the annual Winter Institute (Feb. 12-14) and Victorian Valentine dinners at the Landis Valley Hotel (Feb. 13 and 14). Graeme Park offers Colonial Valentine, a candlelit tour of the Keith House with costumed actors, on February 13. Reservations are required for the tour. Wherever and however you choose to spend the shortest/longest month of the year, we hope you’ll find some time to visit us on the Pennsylvania Trails of History. Winter brings a big change in routine and rhythm to life on the Pennsylvania Trails of History. I suppose you could say that about any season (especially school tour season), but winter always seems to me to be more different than the others. Some sites are closed to the public in early winter, and the recent budget reductions mean that others have reduced their hours more than in the past (go here or contact your favorite site directly to check the schedule). 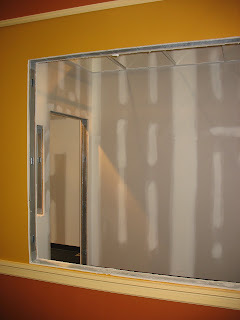 There is still plenty of activity at our sites, though. Folks at Landis Valley Village and Farm Museum in Lancaster took advantage of the December snow storm to show their new site director around the grounds (pictured above--go to the Life in Landis Valley blog for a great photo of the horses). 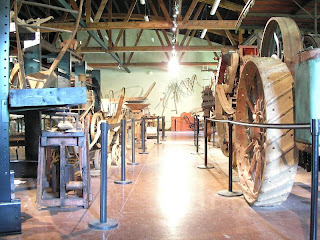 The museum is also using the winter downtime to focus on an ambitious collections care project, the Bitzer Building blitz, January 25-29. Volunteers are welcome for this massive cleaning project; it’s a great way to be part of the work that goes on behind the scenes at a historic site. Contact curator Jen Collins, jencollins(at)state(dot)pa(dot)us, if you’d like to join in (and if you’re reading this before Jan. 29). In addition to collections care, another winter activity at many sites is in-depth training for staff and volunteers. Ephrata Cloister’s winter history class is a 10-week exploration of this unique historic site offered Thursday mornings, starting February 4 and continuing through a field trip on April 15. It’s a fascinating graduate seminar without all those dreary papers and exams. Tuition is charged and the class is open to the public (Ephrata Cloister Associates members get a discount). 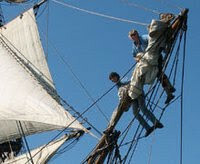 Erie Maritime Museum offers a 6-week course for guides that includes lectures and museum tours. If you’re more adventurous, you can take the sail training course, which prepares volunteers for work aboard the U.S. Brig Niagara. The orientation class has already been held (Jan. 16), but if you’re interested, please contact Capt. Wesley Heersen, captain(at)flagshipniagara(dot)org, to find out more. Stay tuned to Trailheads for more on some of these activities and other behind-the-scenes stuff on the Trails of History. For information on PHMC site operations and schedules, visit the PHMC newsletter. Thanks to Brenda Reigle for the photos. 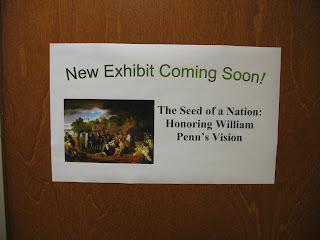 A month or so ago Trailheads visited the exhibit-in-progress at Pennsbury Manor. 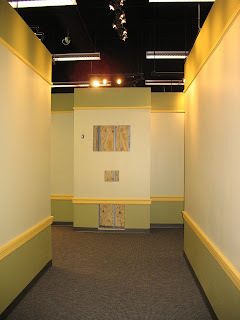 Work continues on the exhibit space, making it ready for the wall panels, object cases, and vignettes that will tell the story of William Penn, his family, his beliefs, and his American home. 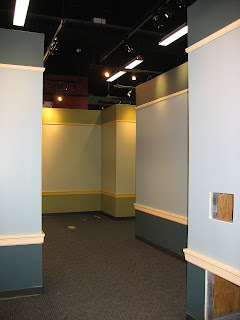 We expect the exhibit to be completed this spring, so stay tuned. Check out Pennsbury’s calendar of events for info on upcoming programs. Those of you Trailheads out there from the tail end of the Baby Boom will probably remember My Weekly Reader as a staple of your elementary school career. I think I’m having a sense memory of how the paper smelled—but now it’s called Weekly Reader and is also a website. Fast forward to 2010 and you’ll find PHMC’s new initiative for 8-12 year olds, myHeritage newsletter. In concert with Pennsylvania Heritage magazine, myHeritage helps families and teachers share the Commonwealth’s vast and varied stories with their kids. This online newsletter will be published quarterly (like the magazine), and each newsletter feature is confined to one page, which makes it an excellent classroom resource as a handout. Check out the first issue now for a sneak peek at things to come. 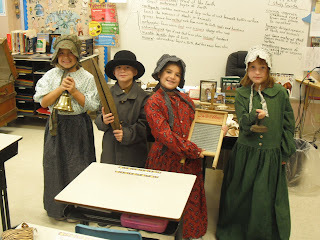 Of course, heritage education is a big part of everything we do on the Pennsylvania Trails of History. From in-school visits and on-site field trips to workshops, summer camps, and family programs, our staff and volunteers share their love of history with visitors of all ages. Maybe you have a favorite site or want to find new stories to explore. Whatever your historical interests, come experience more with us by traveling the Trails of History.